We are delighted to announce the appointment of Laura Lechuga as Associate Editor to the Analyst Editorial Board. Laura will start as an Analyst Associate Editor on the 1st July 2018. Laura Lechuga is the CSIC Research Professor at the Catalan Institute of Nanoscience and Nanotechnology, Spain. 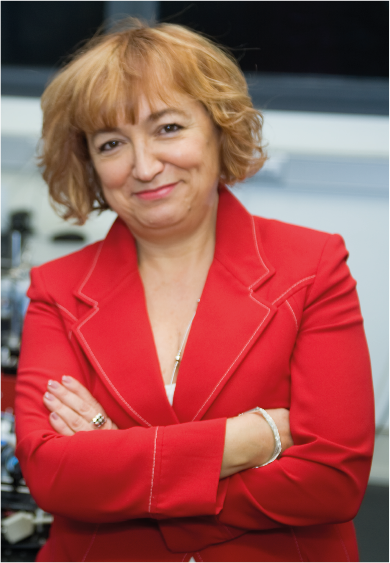 She is the leader of the ICN2 Nanobiosensors and Bioanalytical Applications Group, which focusses on the technological development of nanophotonic biosensors, their integration into portable lab-on-a-chip platforms and their application in clinical and environmental diagnostics. Professor Lechuga gained her PhD in chemistry in 1992 from the Universidad Complutense de Madrid. Between 2012 and 2015 she was an adjunct professor at the University of Norway within their department of Physics and Technology at the Artic. She has also been a distinguished visiting professor at the School of Electrical and Computer Sciences of the Universidade Estadual de Campinas (Brazil) since 2013. We welcome Professor Lechuga and her expertise to the Analyst Editorial Board as an Associate Editor. Submit your articles to Professor Lechuga from the 1st of July 2018! You can keep up to date with the latest developments from Analyst by signing up for free table of contents alerts and monthly e-newsletters. We are delighted to announce the appointment of Jaebum Choo as Associate Editor to the Analyst Editorial Board. Jaebum Choo is a Professor in the Department of Bionano Technology at Hanyang University. He obtained his PhD in Molecular Spectroscopy at Texas A&M University in 1994 and then, in 1995, joined as a faculty member of Hanyang University. 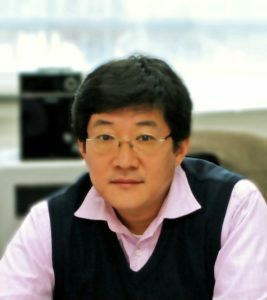 Jaebum has been the Director of “Center for Integrated Human Sensing System” (ERC supported by National Research Foundation of Korea, 2009-2013)and a President of Korean Biochip Society in 2015. He is currently a BK21+ Director of Bionano Fusion Technology Program supported by National Research Foundation of Korea. His main research areas are SERS, biosensors, micro-devices and molecular spectroscopy. His current research programs are centered on the development of highly sensitive optical nano-sensor systems for rapid and sensitive in vitro diagnostics. He has given more than 130 invited lectures in the USA, Europe and Asia, and has published over 240 research papers in peer-reviewed journals and 5 book chapters. Professor Choo was appointed as a Baik Nam Distinguished Professor in 2015 due to his excellent academic achievements. We welcome Professor Jaebum Choo and his expertise to the Analyst Editorial Board as an Associate Editor. Submit your article to Professor Jaebum Choo today! Choi, J.-W., Vasamsetti, B.M.K., Kim, K.-W., Seo, S.H., Lee, D.-H., Chang, S.-I., Choo, J., Kim, H.Y. Park, J.-K., Park, A., Yang, S.K., Baek, S.-J., Hwang, J., Choo, J. 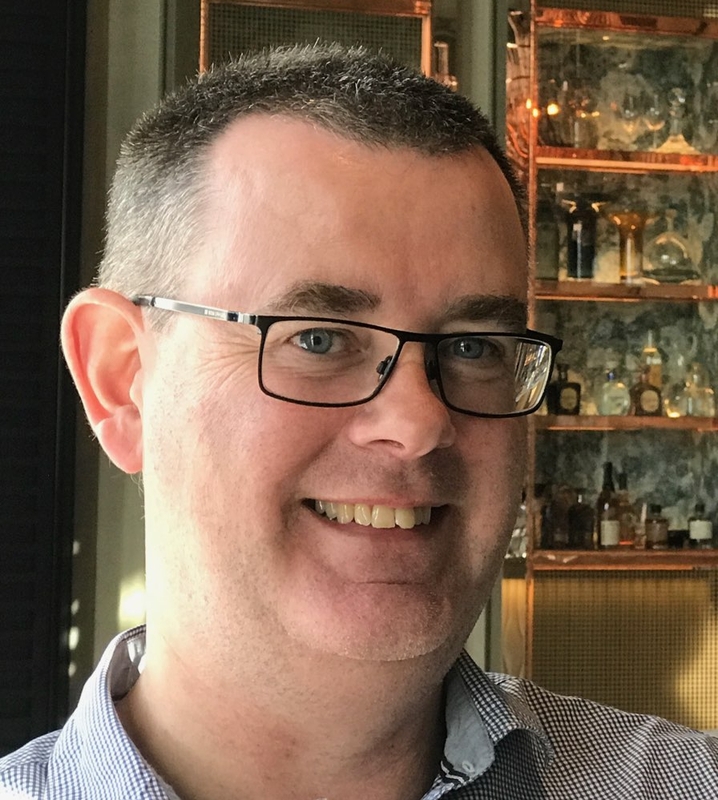 We are delighted to announce the appointment of Professor Damien Arrigan as Associate Editor to the Analyst Editorial Board. Damien Arrigan is a Professor of Analytical Chemistry at Curtin University, Perth, Australia. He studied as an undergraduate at Dublin City University and, after a two-year career in industrial biotechnology, undertook his PhD (1992) at the National University of Ireland, Cork, on electroanalysis with chemically modified electrodes. Following postdoctoral positions at the National Microelectronics Research Centre (Cork) and the University of Southampton, he was a lecturer in analytical chemistry at University of Salford. In 2001 he relocated to Tyndall National Institute, Cork, where he started to combine miniaturisation tools with electrochemistry for detection purposes and in 2009 he moved to Curtin University. Damien’s research interests encompass analytical chemistry and its boundaries with electrochemistry, especially the development of new sensing and detection methods and devices. Recent emphasis has been on exploration of the analytical opportunities afforded by electrochemistry at liquid-liquid (oil-water) interfaces, especially by miniaturisation of these interfaces for chemical and biochemical sensing. Current interests include nanopores and nanoscale electrochemistry, behaviour and detection of biological macromolecules and disease biomarkers, and the development of sensors to enhance water re-use technologies. 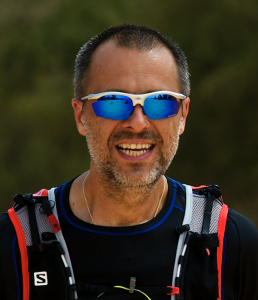 You can find out more about Damien’s research on his homepage. We welcome Professor Damien Arrigan and his expertise to the Analyst Editorial Board as an Associate Editor. Submit your article to Professor Damien Arrigan today! Felisilda, B.M.B, Alvarez De Eulate, E., Stringer, D.N., Fitton, J.H. and Arrigan, D.W.M. A research team from Japan has developed a method for sampling tiny amounts of fluid from single cells without killing them. They hope their technique will allow scientists to better study cellular mechanisms from differentiation to cancer formation. Advances in analytical detection methods enable processing and detection of analytes, even individual molecules, from single cell samples. But before chemical analysis can take place, a sample must be extracted from the cell – a procedure the cell usually doesn’t survive. Takehiko Kitamori’s team from the University of Tokyo now managed to form a 100nm-wide hole in a human cell membrane and connect this hole to a tiny pipette to extract a sample – all while keeping the cell alive. Instead of piercing the cell by force, they coated their nanopipette with a lipid bilayer, the same material the cell membrane is made out of, which causes the two to fuse. We are delighted to announce the appointment of Professor Ryan C. Bailey as Associate Editor to the Analyst Editorial Board. Ryan C. Bailey received his PhD from Northwestern University in 2004 and then was a joint Post-doctoral Fellow at Caltech and the Institute for Systems Biology. 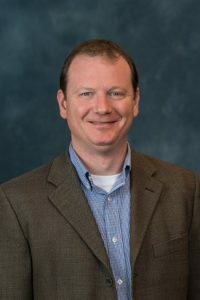 He joined the faculty in the Department of Chemistry at the University of Illinois at Urbana-Champaign in 2006, with affiliate appointments in the Department of Bioengineering, Micro and Nanotechnology Laboratory, and Institute for Genomic Biology. In 2016, Professor Bailey was appointed as the Robert A. Gregg Professor in the Department of Chemistry at the University of Michigan. Professor Bailey’s research generally focuses on the development of new microscale analytical methods for detecting biomarkers and characterizing (bio)molecular interactions with applications in personalized clinical diagnostics and fundamental biochemistry/biophysics. To this end, his group has developed chip-integrated optical detection methods and microfluidic approaches that are being applied to translational transcriptomic, proteomic, and epigenomic analyses. Professor Bailey has received various awards, including the Pittcon Achievement Award (2015), Arthur F. Findeis Award for Achievements by a Young Analytical Scientist (2013), and a NIH Director’s New Innovator Award (2007), and was named to the TR35: 35 Top Innovators under 35 list by Technology Review in 2012. We welcome Professor Ryan C. Bailey and his expertise to the Analyst Editorial Board as Associate Editor alongside Takehiko Kitamori, Lanqun Mao, Jean-Francois Masson, Boris Mizaikoff, Steven Soper and Evan Williams. Submit your article to Professor Ryan C. Bailey today! The equipment developed by the Cobalt Light Systems team characterises the contents inside non-metallic containers, protecting travellers by screening for liquid explosives and has been shortlisted to win the UK’s premier engineering prize, the MacRobert Award. To read more about this story and the MacRobert Award 2014 head over to the Science & Technology Facilities Council website. The Camille and Henry Dreyfus Foundation has selected chemical instrumentation as the topic of the 2013 Dreyfus Prize in the Chemical Sciences. The Dreyfus Prize, awarded biennially, recognizes an individual for exceptional and original research in a selected area of chemistry that has advanced the field in a major way. This year the Dreyfus Prize has been awarded to R. Graham Cooks, the Henry Bohn Hass Distinguished Professor of Chemistry at Purdue University, Advisory Board member of Analyst and Chemical Science. Graham Cooks is recognized internationally as an innovative giant in the field of mass spectrometry who has enriched analytical chemistry in unparalleled ways. Virtually every pharmaceutical and biotechnology company relies on mass spectrometry at a level that has become possible, in part, through Cooks’s innovations. Click to read more. The 18th Australian Electrochemistry Symposium, sponsored by Analyst and Analytical Methods, runs all day on Sunday 15th April, at the Resources and Chemistry Precinct, Curtin University, Australia. The meeting is being coordinated by Analyst Advisory Board member, Damien Arrigan, and further information can be found online. 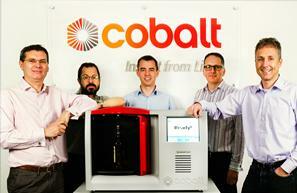 The early-stage company Cobalt Light Systems has received European approval for its revolutionary INSIGHT100 bottle scanner, which could enable aircraft passengers to have liquid items larger than 100ml in their carry-on luggage. The scanner uses Spatially Offset Raman Spectroscopy (SORS), a technique developed by Analyst Editorial Board member, Prof. Pavel Matousek of the STFC Rutherford Appleton Laboratory. Find out more in the full STFC press release here.